For over 35 years Jumbuck Sheepskins has supplied custom made sheepskin seat covers to clients both in Australia and overseas. We take personal pride in providing a 3 year guarantee with every order. Jumbuck Sheepskins provides quality hand made products all of which are made on premises in Brisbane. 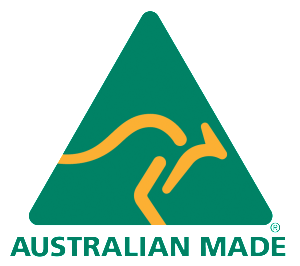 We use only Australian products and also employ local craftspeople with the necessary skills to produce a quality product. Design, fit, durability and premium fleece quality are essential to us. Jumbuck Sheepskins provides custom made, fully fitted luxury sheepskin seat covers to suit most vehicles, motor homes, motor bikes, aircraft and more. They provide comfort and the ultimate protection for your seats, keeping them looking like new. We have a local fitting service in Brisbane, or we can ship the covers to your door with easy to follow instructions. We also produce a range of other products such as mattress underlays, medical aids, wheelchair accessories and baby lambswool rugs. We make custom seat covers to fit any type of vehicle without synthetic substitutes or compromises. It IS possible to stay cooler in summer as air-flow through the wool fibres will regulate your body temperature and provide insulation from outside air temperature. A natural insulator, your lambskins fleece makes your baby feel warmer in winter and cooler in summer. Our range varies from wheelchair arm covers, seat covers, ankle boots, footrests and more. Sheepskins are like people – They are all a little different. The surface texture, feel and appearance of the wool is determined by the breed of sheep each skin has come from. Such things as their age, health, the standard of pasture and the method of tanning will also influence the quality of each fleece. As a normal pair of seats will require six skins to fully enclose them correctly, the experience of the manufacturer makes a big difference in the finish and durability of your seatcovers. Comfort – Sheepskin keeps you warmer in winter and in cool in summer by allowing body temperature air to stay close to you. Safe – Sheepskin is hypoallergenic and flame resistant, it will self-extinguish. Soft – Sheepskin is so wonderfully soft to sit on. Durable – A Skeepskin will give you many years of comfort and wear.